My earliest recollection of basketball was a Rudy Distrito clutch shot to win Ginebra a title. The shot created so much pandemonium and I was a Ginebra fan ever since. That was in 1991, I was only 8 years old. To cap off our New York trip, we checked out The Met, one of the largest museums in the world. It's so big that it would take you more than a day to fully appreciate what it has to offer. I have always been a fan of home workouts. I laugh at those who spend hundreds if not thousands of pesos for a gym membership or even an instructor. Not that I don't believe it doesn't work, because it does and everyone has their own reasons, but I just don't want to spend money for something I could get for free. I don't need to look far for an inspiration. I used to play basketball with construction workers with chiseled abs but still eating at least 2 cups of rice and drinking almost every night. Another inspiration is of course, my wallet. Living in a world of apps, I found just one that I actually think I can benefit from: The 30-Day Fitness Challenge. Irene's recovery is the utmost priority. But that recovery has a cost. 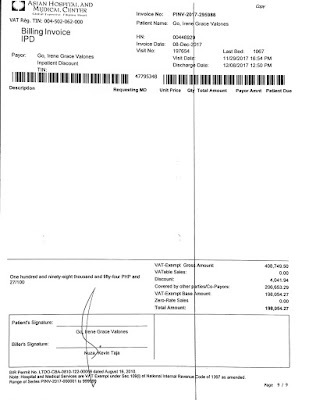 Php408,749.50 to be exact! It seems absurd that a single mosquito bite would cost that much but that truly was our bill. Even if we can find the mosquito who bit Irene, I'm sure he wont have that much money to pay for what he did! By day 9, it was established that while Irene still has fluid on her lungs, the diuretic therapy was effective in flushing it out. We were begging to be discharged as we can no longer afford to stay in the hospital. Literally. We were both on the same plan of not telling the nurses or doctors of any more pain, headaches, rashes, whatsoever. The running bill was the miracle cure! Morning of day 10, we were finally released! But we need to settle our bill first. After the outrage on social media, the skyway management finally gave in. For a couple of years now we have accepted the fact that using the skyway is our new norm. There was no turning back. The 9-kilometer stretch took us less than 30 minutes to reach Makati. The Php23.00 toll difference seems worth it. It was. Until the skyway management started construction on a new toll plaza near C5. At the time when vehicles were just passing through, traffic was already piling up, adding maybe at least 5-minutes to our travel time. At that time I have already foreseen that it will be a disaster once the tollgate is functional. 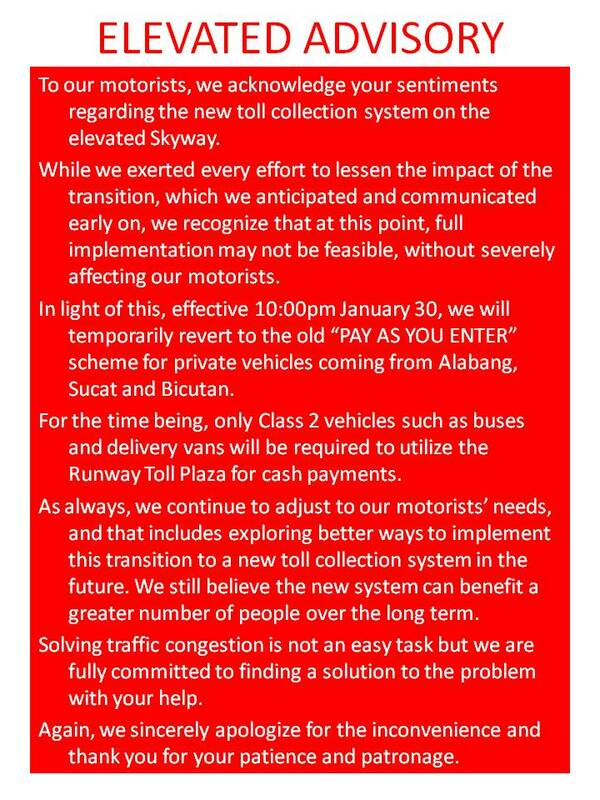 Imagine an ETC (RFID) user who used to just pass though the ETC lane to enter skyway and then exit as he pleases now has to stop and pass through another ETC lane just to get out of the skyway system. Being a northerner since birth, I didn't see myself living in the south, paying toll fees everyday. I was used to the hour-long jeep-LRT-jeep combo to and from work in Makati. Only when my wife and I were looking for a new place to move-in to, that I slightly considered living in the south. When the other options were out of our budget range, the south became the smart choice. I've been a southie for three years now. Crunching the numbers I accepted the fact that we had to pay Php49.00 per entry and exit to and from Bicutan. That's Php98.00 per day or roughly Php3,000 in a month. 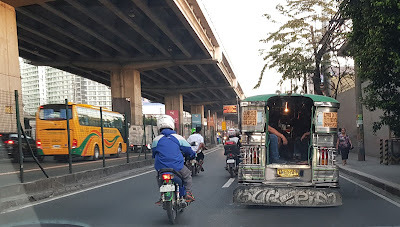 For a year I got used to traversing the South Luzon Expressway (SLEX) from Bicutan to Makati until I got tired of the morning stress it brings. Upon exit at Nichols toll plaza, you have to inch your way from left to right just to have a good position to exit to EDSA. I found a temporary solution entering through Magallanes but EDSA would still bring me my daily minimum requirement of stress. There's got to be a better way. Irene'e platelet count was slowly going up. From a low of 9 x10^9/L on day 2, it was already at 157 by day 8. The dengue episode seems to be over. The sigh of relief was short-lived though, she now has fluid on her lungs. When will this end? While we were fighting the disease, we didn't mind the costs. 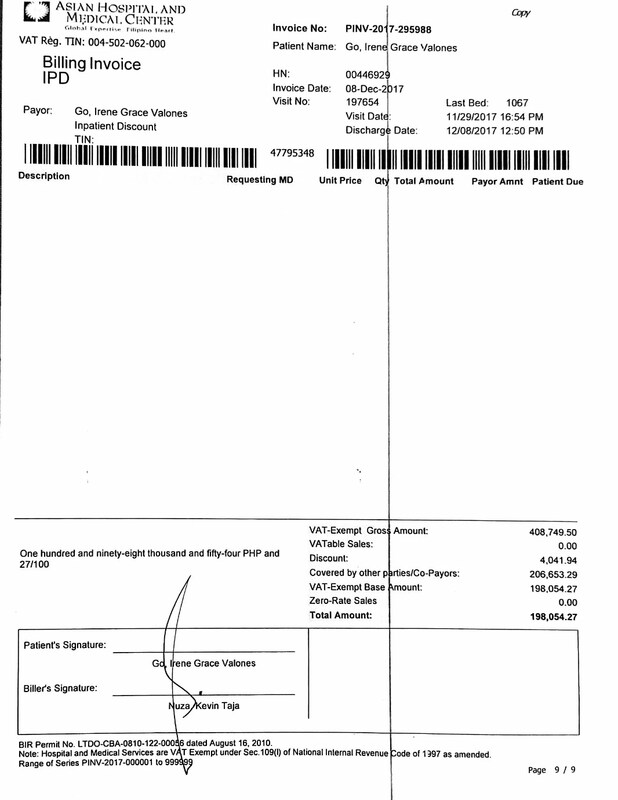 After all, Irene's Medicard can cover up to Php200,000. With the doctors telling us that treatment for Dengue would just be hydration and monitoring, for sure this would not cost us more than Php200,000. Wrong. a portable device that continuously monitors patient ECG, respiratory rate and/or oxygen saturations while automatically transmitting information to a central monitor. We were quite relieved that Irene's platelet count started to go up. Painfully slow as it is, it was still a positive sign. On our 3rd night, platelet count was up to 37. Things were looking good. Or so it seemed.